Published January 29, 2016 at 646 × 661 in Elements of Design: HUE, VALUE and INTENSITY. 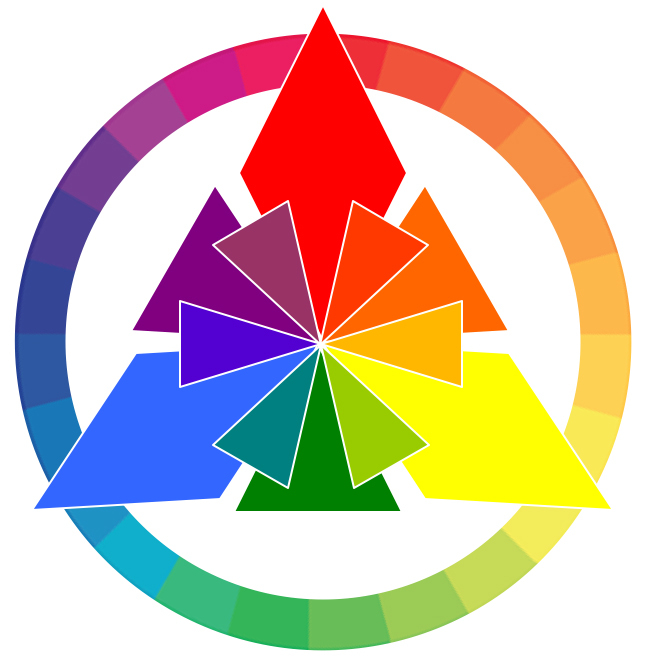 A triangular/circular depiction of the color wheel showing primary, secondary, and tertiary colors – Eilee George of eileegeorge.com illustrates a unique color wheel in her COLOR lesson – this is a copyrighted image ©2016 L. Eilee S. George, All Rights Reserved. Use by permission only.